The past few weeks have seen big news for vaccines. A bill related to vaccine exemptions was signed into law, a court ruled against a parent’s refusal to vaccinate and a recent study points out the value of vaccinating a household — especially mom — to protect a young infant from pertussis (whooping cough). The latest news is that Governor Jerry Brown in California signed a bill last Sunday that had been sitting on his desk since September 6 and was the target of a number of rallies by parents who didn’t want to see it pass. Among those fighting the bill was Dr. Bob Sears, who says he walks a middle ground with vaccine policy but in reality tends to flirt with those who fear vaccines and rely on misinformation. Although some parents claimed the bill took away their right to choose whether their children get vaccinated, it actually just ensures they get good medical information before they make that choice. Photo by Dave Gostisha at sxc.hu. The bill-now-law, AB 2109, proposed by a pediatrician, requires parents to get a statement signed by a health care practitioner that the parents/guardians have received accurate, evidence-based information about the risks and benefits of vaccines before they can use a personal belief exemption to prevent their children from being vaccinated. This law is a tremendous triumph both for informed consent in medical decisions and for the public health of children in California, which saw a considerable outbreak of pertussis (whooping cough) in 2010. Washington state passed a similar law last year and saw 25 percent drop in exemptions filed. Other states are considering similar laws in a nationwide overall shift toward strengthening exemption requirements. 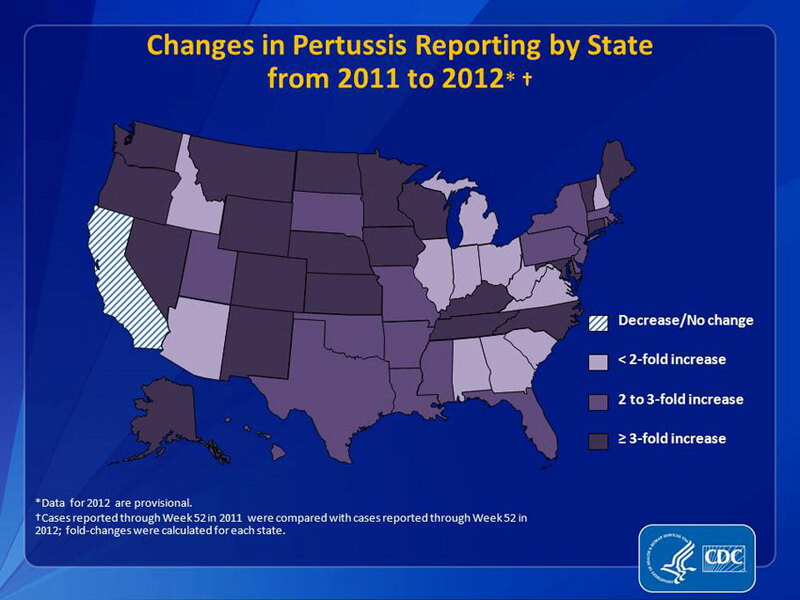 It’s also particularly notable that California and Washington are the most recent states to tighten opt-out procedures for parents because they are home to some of the more recent pertussis outbreaks. More on that in a moment. All states have medical exemptions for patients who have auto-immune disorders, have proof that their bodies do not respond to immunization, have documented allergic reactions or have other circumstances which make it too risky for them to be immunized. In fact, these are the very people that the rest of the population protects through herd immunity when vaccination rates are up where they should be. All but two states have religious exemptions (Mississippi and West Virginia are the exceptions). And that brings us to some less covered but still significant news about one state’s ruling on a particular case involving religious exemption. Last week, the U.S. district court in Ohio ruled that one woman’s claim of religious objection was insufficient for her children to be exempted from being vaccinated. Read the whole story here. To be fair, this is a complex case involving far more than vaccines; the mother is clearly neglectful and the overall situation is pretty crappy. However, the fact that the court found “the mere assertion of a religious belief ... does not automatically trigger First Amendment protections,” and that “it has long been recognized that local authorities may constitutionally mandate vaccinations” is significant in a state that offers both religious and personal belief exemptions. Because of the danger to public health when clusters of kids are not vaccinated, my personal opinion on this issue is that “personal belief” exemptions should not be offered in any state, and religious exemptions should be extremely difficult to get, if they are offered at all (which may be the best overall route). Some cite the Amish, Mennonite and Christian Scientists, though actually the majority of Amish children, at least, are vaccinated, and it doesn’t appear that any Amish objections to vaccines are for religious reasons. Christian Scientists have successfully been convicted of neglect in other incidents where their children died from inadequate medical care, though their religion is the only one I’m aware of that vaccination actually, explicitly violates. The constitutionality of religious exemptions is dubious as well. At the very least, however, anyone seeking any exemption should certainly to see a doctor first to be sure they have accurate information and not simply what they have seen online or heard at the playground. Those who absolutely will not vaccinate in states without exemptions may also opt to home school or send their children to private schools that don’t have requirements. But considering the increasing rates of measles and the increasing epidemics of pertussis, the need for high vaccination coverage in communities is more important than ever. 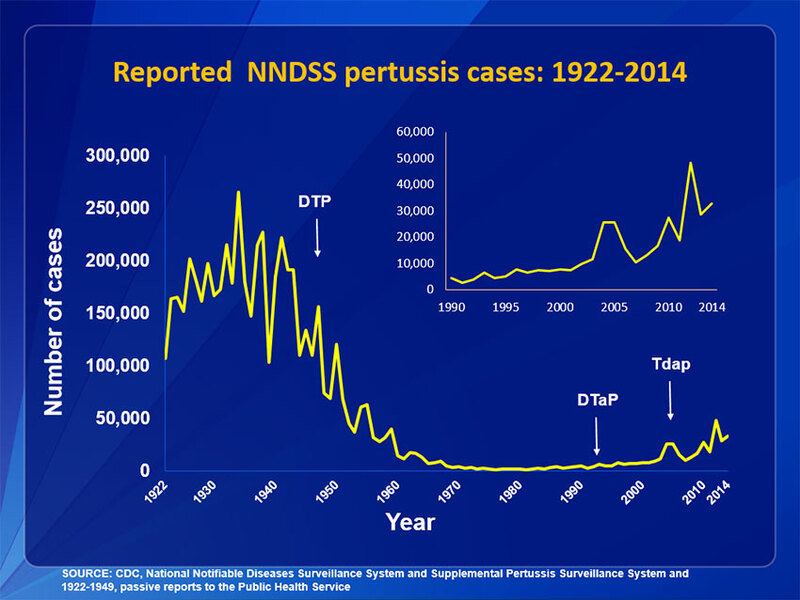 It is true that the pertussis vaccine is not as effective as the old one used to be, something I wrote about a few weeks ago. 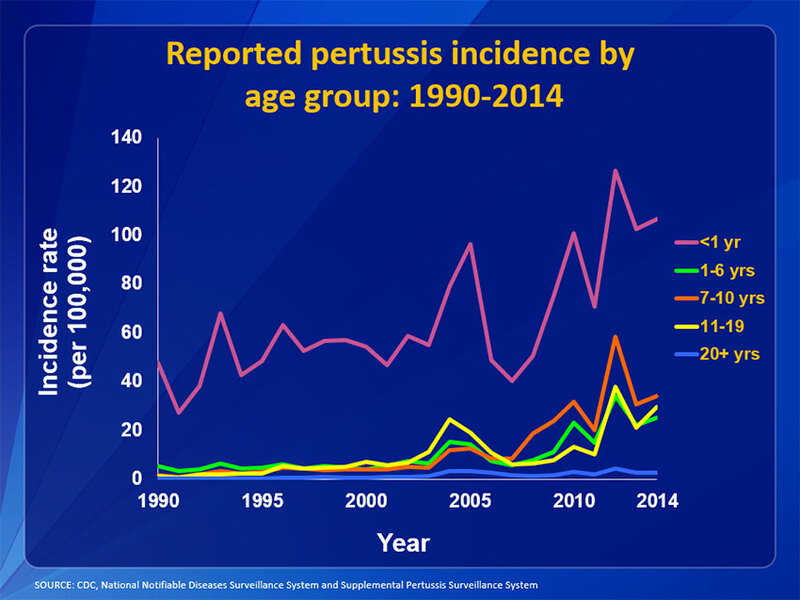 It’s also true that pertussis peaks every five years or so, but even taking into account the peaks, the overall rate of cases has been steadily on the move upward. Dr. Offit, the chief of the Division of Infectious Disease at Children’s Hospital of Philadelphia and a very vocal advocate of vaccines, said he believes that parents’ refusals to vaccinate are playing their own small part in the increase. “The major contributor is waning immunity. The minor contributor is the choice not vaccinate,” he said. He noted that there are researchers working on the problem, as this Nature article notes (paywall), including attempts to make a better vaccine with more adjuvants, the additives that enhance the body’s immune response to a vaccine. While vaccinated children and adults have been high among the numbers of those getting whooping cough, getting the vaccine remains among the best ways to reduce your risk of contracting it — or of having less rough of a time with it if you do get it. Dr. Offit also pointed out that pregnant women in particular should be sure they get their booster. Which brings us to the study published last week that relates to the most important reason to get vaccinated, at least from the perspective of preventing deaths — to protect the babies who are too young for the vaccine but most likely to contract it and die from it. The study, published in the journal Epidemiology last week, looked at how frequently pertussis was transmitted to others within the same household and how effective “cocooning” is. Cocooning is vaccinating all the household members who can get the vaccine for the purpose of protecting young babies who can’t yet be vaccinated for the disease. Indeed, this year, siblings’ bringing home the disease appears more likely than ever in the states experiencing big outbreaks this year. Just how bad are the numbers? Well, 2010 was the last five-year peak, which totaled 27,550 cases. It’s currently September of 2012, and the numbers last reported to the CDC were at 29,834, and that doesn’t even include over 3,700 cases in Minnesota that haven’t been officially reported to the CDC yet. These numbers, which include 14 deaths (primarily of babies under 3 months), may very well end up doubling the 2011 total of 18,719 if they continue at the current rate through the end of the year. It’s the biggest pertussis outbreak since 1959. Not surprisingly, the majority of the states leading in pertussis cases are also among those that offer personal belief exemptions. Washington, despite their new law, is sitting at 4,190 cases, quadrupling their 2011 count of 965. This is the state where 7.6 percent of parents opted for exemptions (among all grade levels, not just kindergarten) in 2008-09, more than four times the national rate of about 1.5 percent. Minnesota and Wisconsin have similarly high rates and both have personal belief exemptions. The most recent numbers out of Minnesota are 3,748 — they had just 661 cases last year. Wisconsin is leading the nation with 4,640 cases, up from 1,192 in 2011, at last report in the Sept. 28 Morbidity and Mortality Weekly Report (pdf) at the CDC. But the increases are being seen across the nation, as this CDC map shows. Texas (1,287 cases to date this year), Pennsylvania (1,428 cases) and Colorado (897 cases, though they averaged 158 over the past four years) are among other states with personal belief exemptions (though the Texas one has significant restrictions and hoops to jump through). But it’s clear the decreased effectiveness of the vaccine is playing the biggest role, especially in places like Iowa (1,168 cases) and New York (2,107), neither of which offer personal belief exemptions. Again, though, a less effective vaccine does not mean a worthless vaccine. It still offers 85 percent protection when you get the shot or the booster, and even as it loses some effectiveness as the years go by, you’re far less likely to have a severe case if you do get the disease. And you’re protecting those around you, including the babies who have only been here a few months and are the most susceptible to catching and dying from the disease. Bottom line — it’s worth it to get the shot, and to make sure your kids do too. Opinions expressed in this article do not either necessarily reflect or conflict with those of the DXS editorial team or contributors.